We accept returns within 14 days after receiving the product. RA# is required for all returns, please contact us to request one. There will be a 15% restock fee for returns. Item(s) must not be worn, and should be returned in their original box and packaging. Buyer is responsible for return shipping costs. Please allow 2-4 business days to process a refund. ?Shipping fees are not refundable unless the wrong item was received. and original shipping costs will not be refunded.? 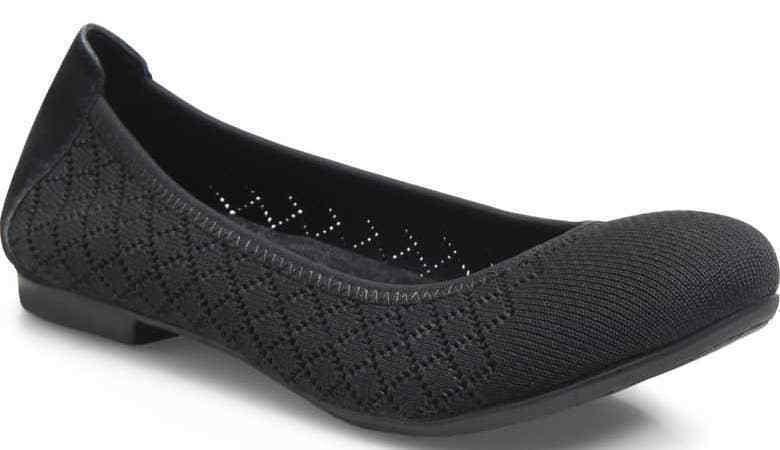 Stretch knit and leather combo Leather and fabric lining Rubber outsole Opanka handcrafted construction Heel Height: 1/2 inch. Please note that due to the different monitor and light effect, the actual color of the item might be different from the color showed on the pictures. Shipping Policies Your orders will be shipped to your PayPal registered address. Please ensure your address is correct. All orders are processed the Next Business Day after the payment clears. During holidays or inclement weather conditions please expect delays for shipments. Return Policies We accept returns within 30 days after receiving the product. RA# is required for all returns, please contact us to request one. Item(s) must not be worn, and should be returned in their original box and packaging. Please do not tape the shoe box, use another box to ship the item. If so, a restock fee will be charged. Buyer is responsible for return shipping costs. Please allow 2-4 business days to process a refund. Shipping fees are not refundable unless the wrong item was received. If you would like to exchange for another size, an addition shipping fee would be charged. Any package refused by the addressee is subject to a 15% restock fee, and original shipping costs will not be refunded. International Buyers No Returns for International Shipping. If you need your package to be declared as a low value to help avoid/minimize customs charges, just send us a message. However, please keep in mind that we are not responsible for any international importation charges from taxes, duties, and other fees in your country. These charges are the buyer’s responsibility. We are not responsible for packages held by customs. Keep in mind that USPS may show an estimate of 6-10 days for delivery to customs, but some countries may require up to 30 calendar days for delivery.